There is a certain period of time that’s referred to as the “Dark Ages” of mixology…somewhere between the 1950s and the 1990s. Yes, certain pockets of resistance still existed during these decades, especially in the better bars and Tiki restaurants, but mixed drinks as a whole seemed to suffer, especially during the 70s and 80s (this is why films like Cocktail, with Tom Cruise, came into being). Recently, however, a number of bartenders have been “upgrading” the drinks mixed during the Dark Ages. And yes, that’s the theme that Jacob Grier, of Liquidity Preference, has decided on for this month’s Mixology Monday! The theme is “Retro Redemption,” no doubt inspired by the recent partnership between Small Screen Network and Martin Miller’s Gin and their “Trade Up” competition, or maybe Jason Wilson’s own traded-up cocktail, the Molly Ringwald. Be sure to see everyone’s submissions in the roundup post. Shake with ice and strain into either an ice-filled double rocks glass or a large cocktail glass. Garnish with a lemon twist. First to go was the peachy-sweet Southern Comfort (yes, I do own a bottle, and it’s rarely used), which was replaced with bourbon and peach bitters. 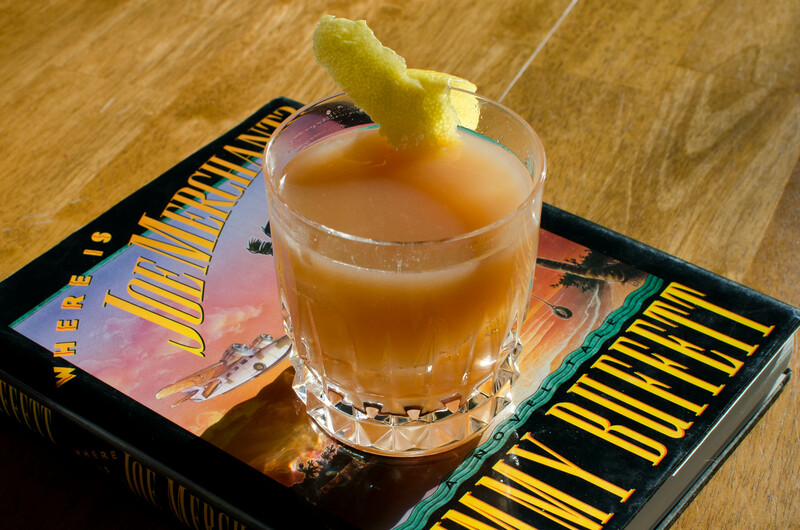 The Slammer needed a base liquor to give it a bit of oomph, and I used a subtle hint of peach rather than a over-sweet wallop of it. Orange juice can be rather overpowering in cocktails, and remains semi-sweet, so lemon juice was added to give the drink a bit of tartness (though my initial variations did use only orange juice). The sloe gin must, of course, be high quality, meaning Plymouth or Bitter Truth; chances are the original drink was made with a sloe gin that was entirely artificial, like Hiram Walker or Mr. Boston, and nothing at all like true sloe gin. The question of almonds was an intriguing one…I tried the drink with both amaretto (Di Saronno) and orgeat (homemade), and I like the orgeat version best, it being more subtle. To me, amaretto just tastes too much like almond extract, but if you’d like a slightly sharper almond flavor, feel free to substitute the liqueur. In the end, you have a sour-type drink with a strong base spirit, citrus, and a blend of sweet ingredients that is far more interesting than the original. Good ingredients and balanced proportions are the key. 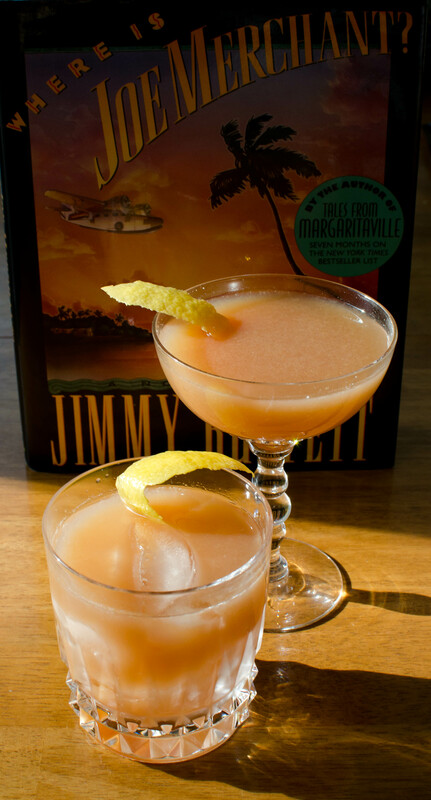 As for the name, Frank Bama is the central character of Jimmy Buffett’s Where is Joe Merchant? Since the drink comes out being semi-Tiki-like and Buffett’s hometown is Mobile, Alabama, it seemed a perfect name (I believe Frank was also an Alabama native). In regards to the whiskey being used, I went with Buffalo Trace because it’s smooth and slightly spicy, but without the heat and spice of a rye. I will say that High West Bourye makes a decent Frank Bama, but it’s a strong, distinctive whiskey, so splitting it with Buffalo Trace or a similar bourbon is a nice way to add complexity and mellow out the flavors a little bit. Think of blending whiskeys like you would blend rums in a Tiki drink — a startling revelation for me — and you can come up with some interesting results. Leopold Bros. Peach Whiskey, very tasty in its own right, can also be mixed with the bourbon, though I would omit the peach bitters and cut back on the liquers when using it in the Frank Bama. Shake and strain into an ice-filled highball glass, or five shot glasses. One final note: flipping through my copy of Regan’s book, you get a sense that it’s a snapshot of the cocktails being made at the time of its publication (2003), much like how Jim Meehan’s wonderful PDT Cocktail Book gives us an idea of the state of the current cocktail culture. Mixed in with true classics are some contemporary drinks, shooters, “-tini” drinks and the like, hangers-on from the 80s and 90s, and original creations by Regan and folks like Audrey Saunders, who were on the verge of kicking off the cocktail renaissance we’ve been immersed in for the past few years. Always good to flip through the “old” books and get a sense of perspective. Thanks, Zach. My own runner-up was the B-52…very similar to the Mudslide! 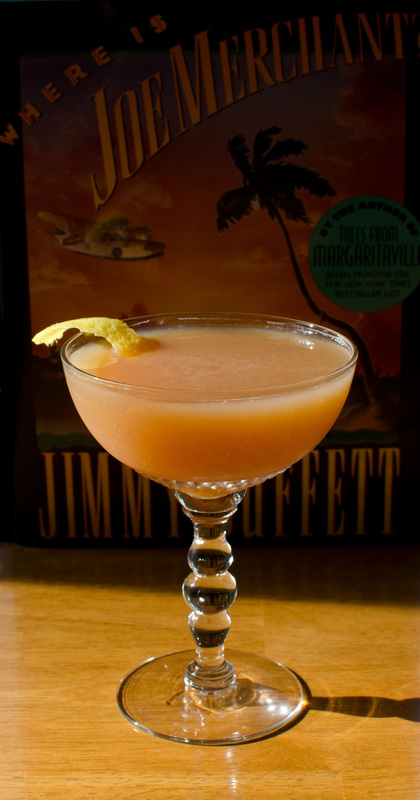 This entry was posted on November 20, 2011 by IJ Lauer in Bourbon, Drink Recipe, Mixology Monday, Orange Juice, Orgeat, Original Drinks, Peach Bitters, Recipe Comparison, Sloe Gin and tagged alabama slammer, bourbon, cocktail, drink, mixology monday, orange juice, orgeat, peach bitters, recipe, retro redemption, sloe gin.